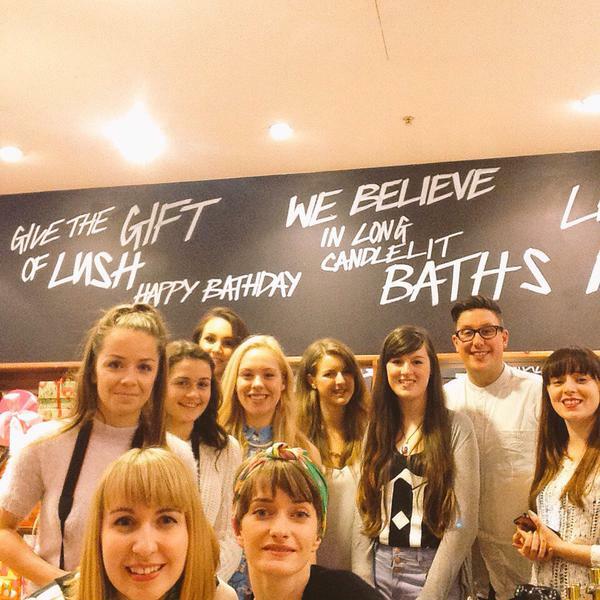 I was kindly invited back to Lush Plymouth in Drakes Circus for their second blogger event by manager, Adam and the team, yesterday! I thoroughly enjoyed the first blogger event held last summer so I was super excited for this one too! 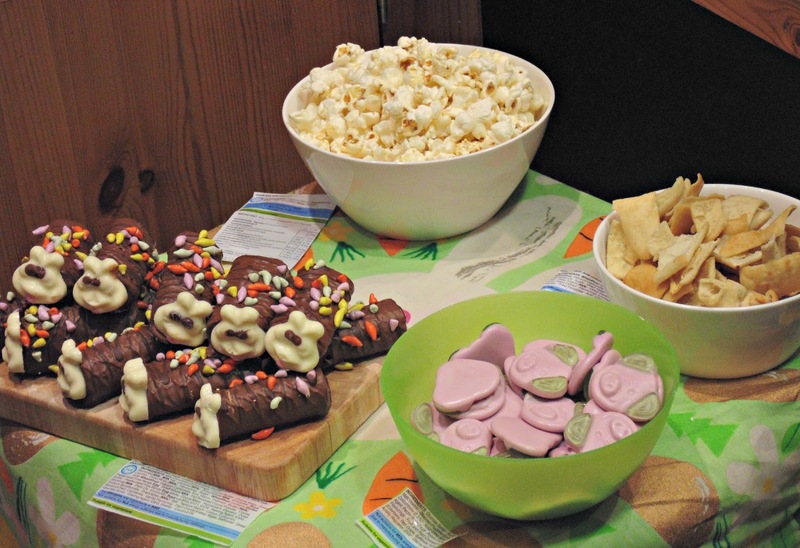 The 'Lushies' welcomed us to the store after hours with yummy treats- can't beat a mini Colin The Caterpillar! The aim of the evening was to introduce us to the new Easter range as well as the gift sets for Mothers Day and the new Gorilla perfume! Firstly we were told about Simon and Mark- the Head Perfumers at Lush who collaboratively worked on their first perfume, 'Dear John' to create a smell of Mark's own father who left him at a young age; he made it to smell what he thought a father should smell like. A friend tracked down Mark's father and they eventually met but three weeks later he unfortunately passed away. Walking through his late father's garden, Mark found a lemon and used it to create a new fragrance in memorial of his father, named 'Dad's Garden Lemon Tree'. I personally loved the smell of this perfume- its so light and lemony (without smelling like washing up liquid!) and lasted a long time on my skin. I'm definitely going to purchase that one! 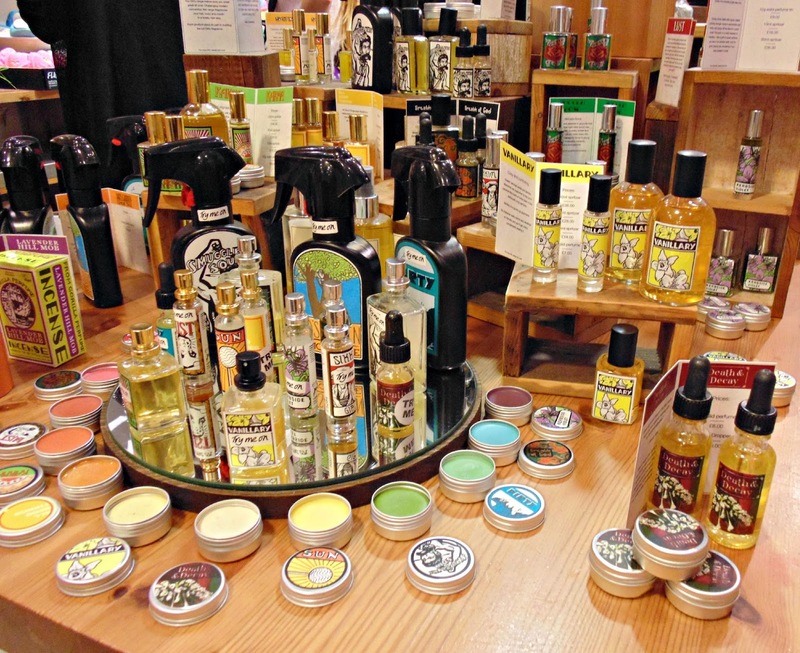 I love the background stories of Lush's products! It makes them seem so much more personal and shows really how much work has gone into them. 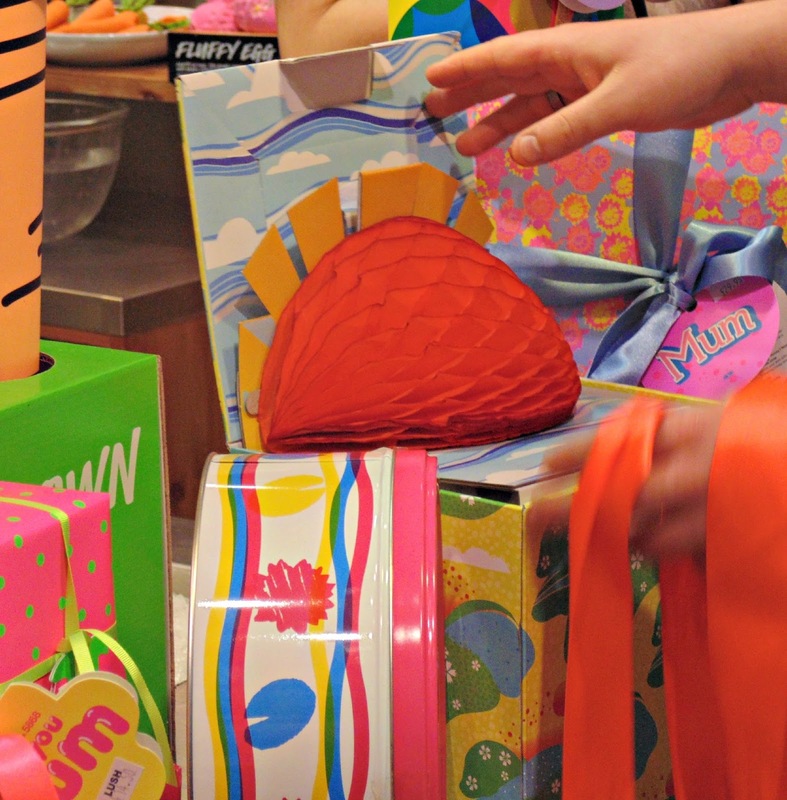 We were also shown the 2015 Easter collection! 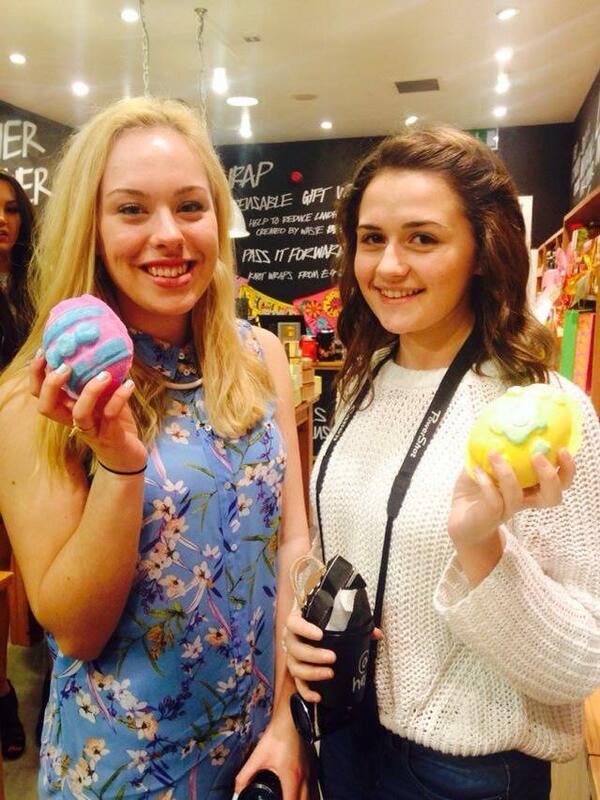 Full of bath bombs, shower jellies, soaps, bubble bars- the lot! 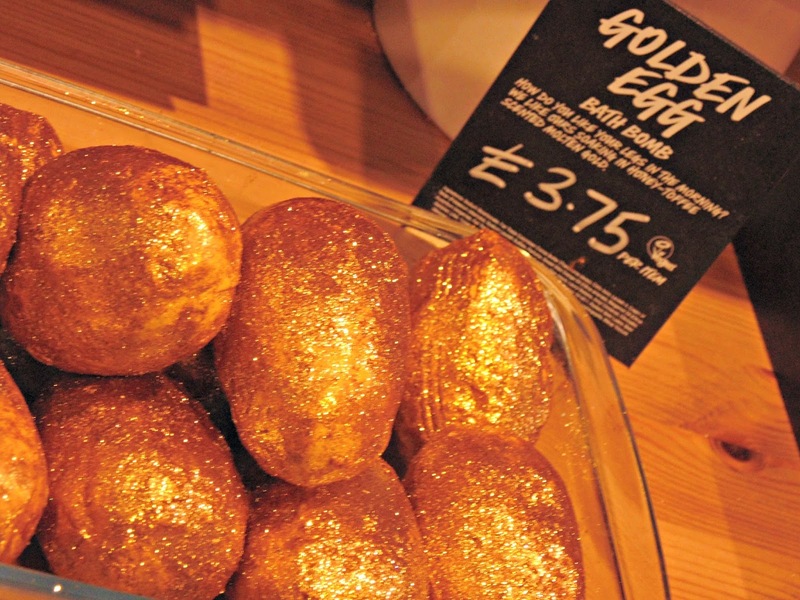 All of the products were so aesthetically pleasing with a variety of pastels alongside bright popping pinks, and of course the famous golden egg. 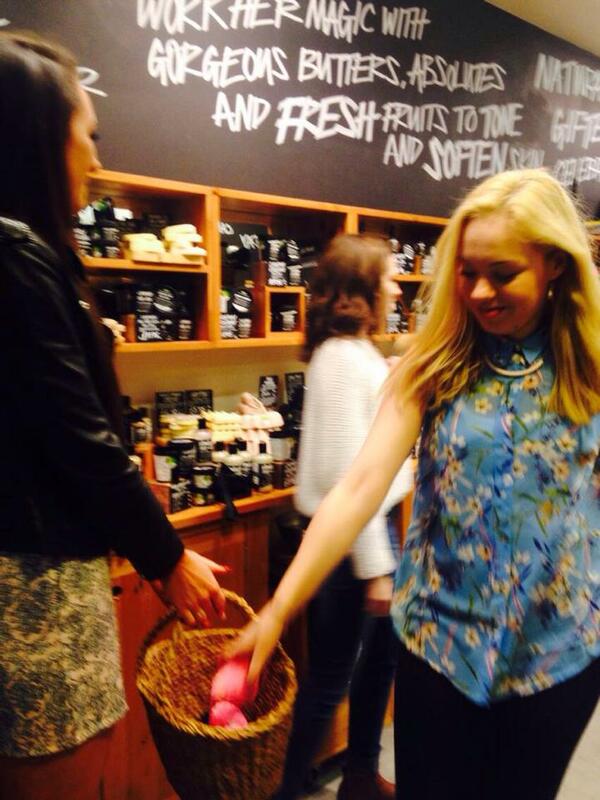 Lots of Fluffy Egg bath bombs were hidden around the Lush store and in teams we were sent on an Easter egg hunt! My competitive side did come out and Becca, Milly and myself won (woohoo!) and bagged ourselves our very own Fluffy Eggs! I love this product as it has the scent of my all time favourite Lush product- Snow Fairy. 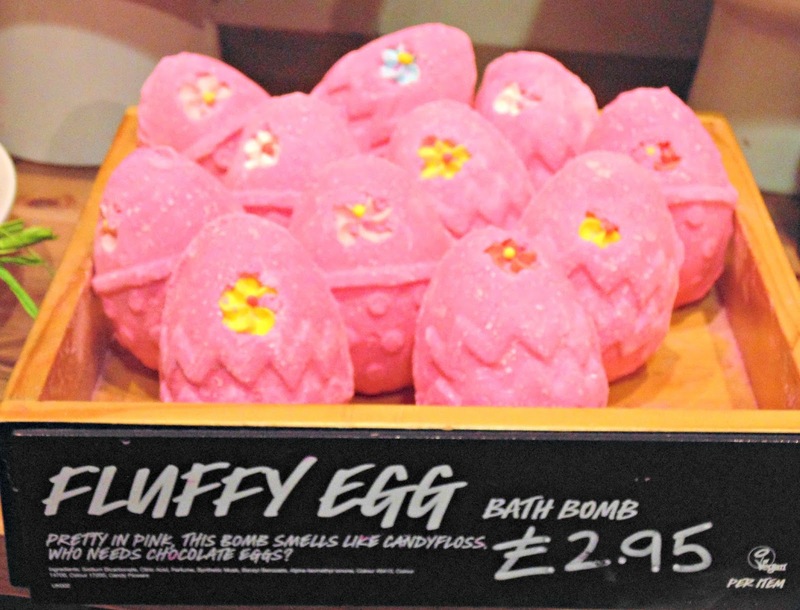 Yup, that's right, Christmas has certainly come early this year and we get to experience the magic of the sweet candyfloss smell in the form of this beautiful bright pink egg! How adorable are these Bunch Of Carrots?! Swirl them around in your bath and they create gorgeous huge bubbles! I love how fun all of the products in this range are! I will be reviewing the few that I was kindly given to take home to try out, so make sure you keep an eye on my blog for that! 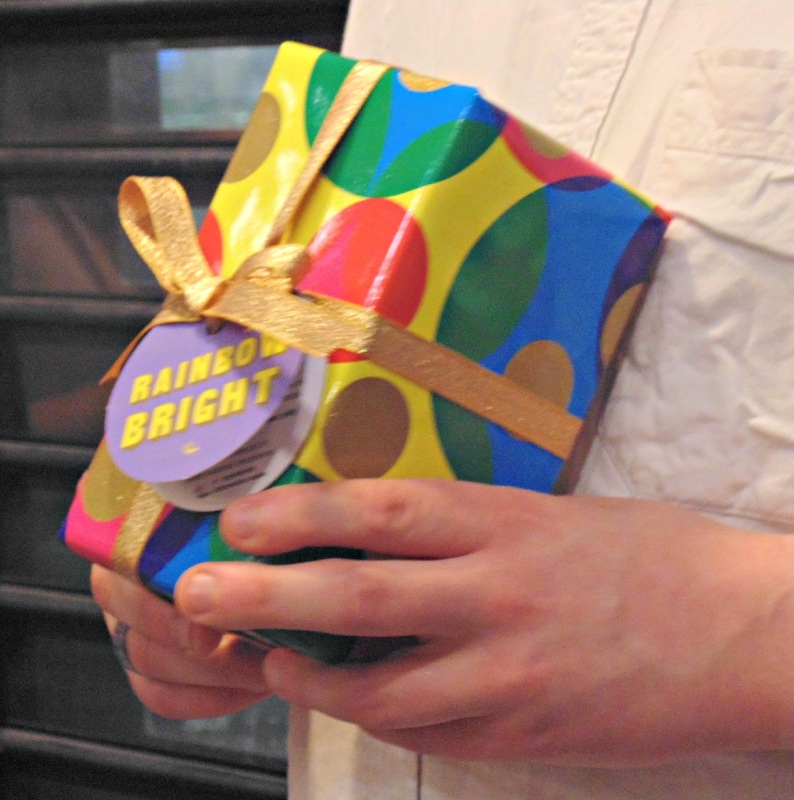 Lush gift sets are not just stunningly wrapped in quirky packaging but the products inside are simply fantastic too! 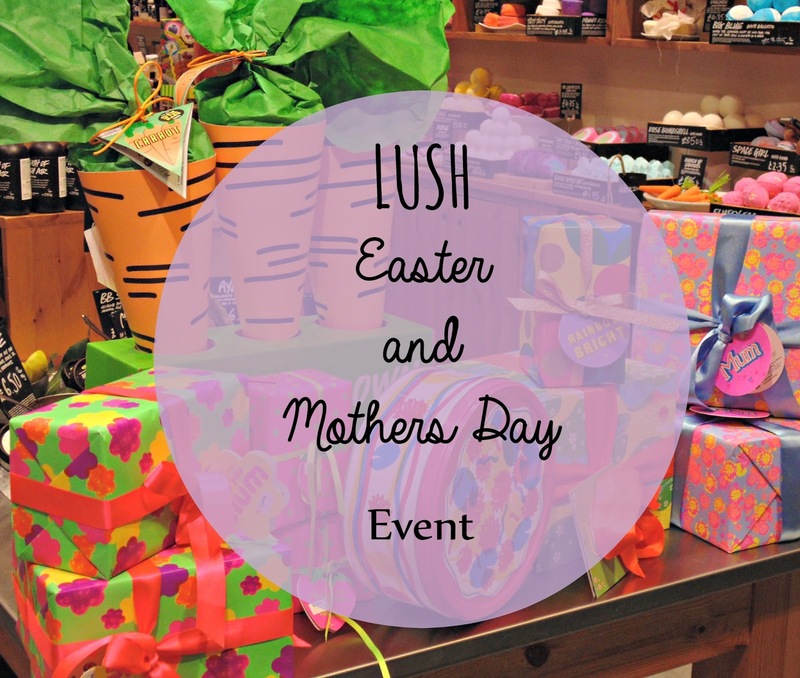 We were shown the variety on offer to treat bath- loving Mums everywhere for Mothers Day! I particularly liked the 'Blooming Marvellous' and 'Forget Her Not' gifts which included the Rose Bombshell bath bomb (we were all awe-struck when it exploded with rose petals!) and the Yummy Mummy shower gel (which I LOVE!). 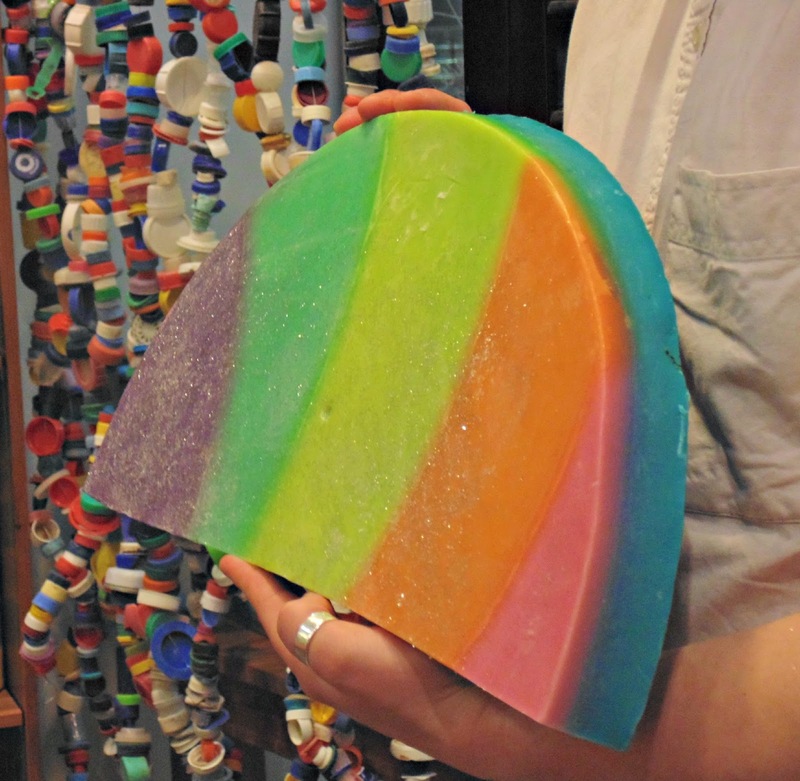 The Somewhere Over The Rainbow soap is right up my street: rainbows, sparkles and Wizard of Oz references? Yes please! 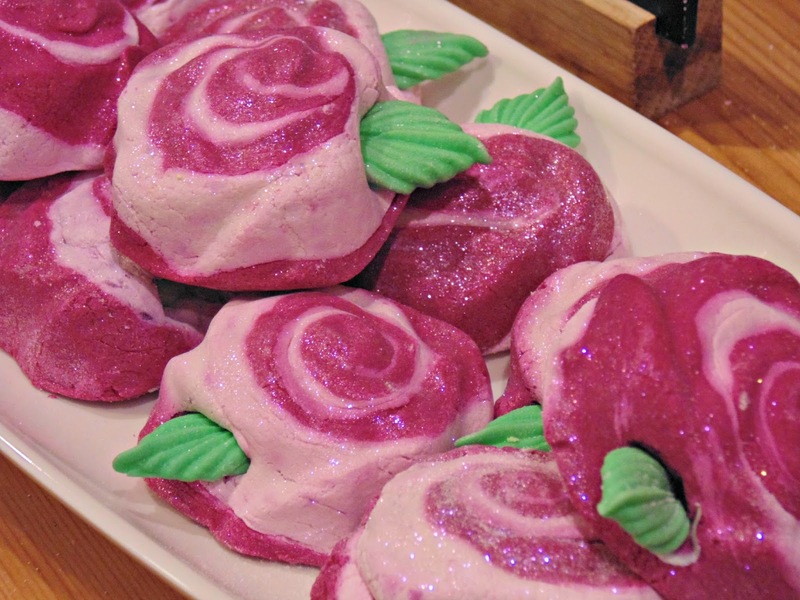 As a collective we decided that these Rose bubble bars are simply too beautiful to crumble and chuck in the bath. Or not...the masses of fragrant bubbles and a pink bath is too much of a temptation for me! I had a great night at Lush Plymouth, meeting some lovely Plymouth bloggers and finding out more about the great new product ranges! A huge thank you to Adam and the team for making it a fun evening! I can't wait to do it again soon! 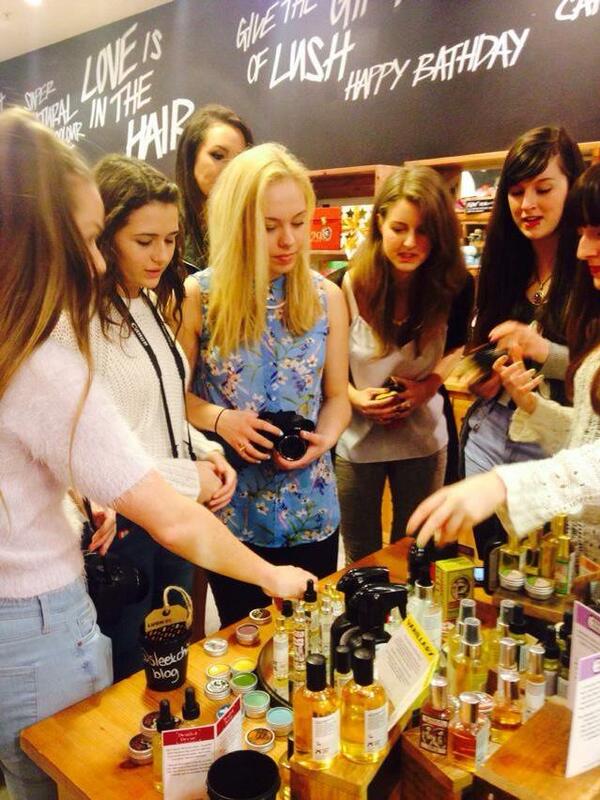 Check out Lush Plymouth's Twitter here! 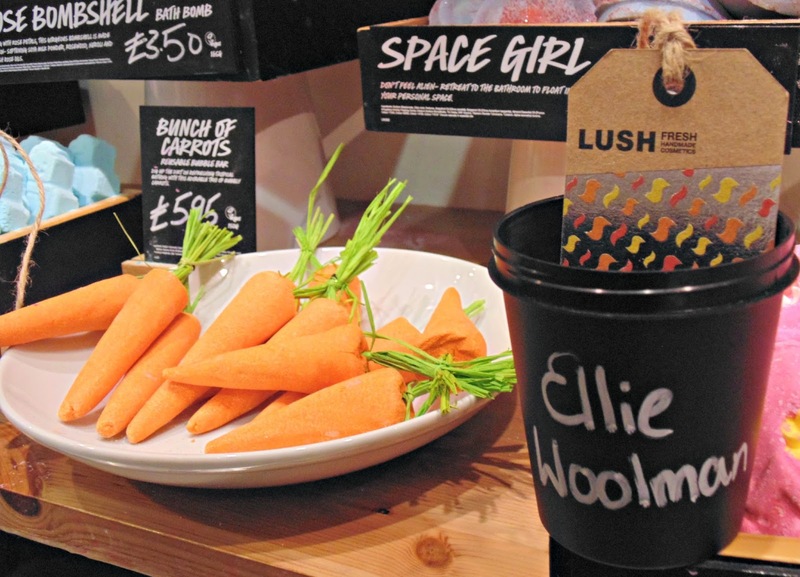 Have you got your hands on any of Lush's new products? What is your favourite? Disclaimer: Lush Plymouth kindly invited me to this event and supplied me with a lovely goody bag but as always all views and opinions are 100% my own!